In Axe Electrum, a seed is a complete backup of all addresses and transactions. Access your wallet’s seed through the seed icon in the lower right of the main screen, or the Wallet > Seed main menu option. 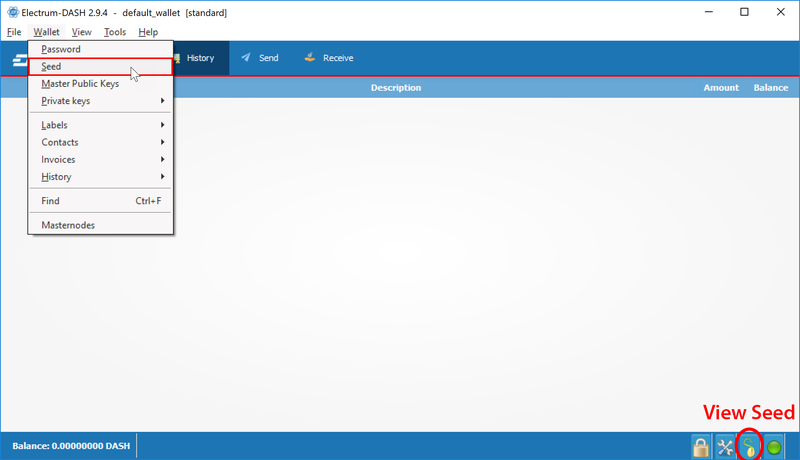 When prompted, enter the secure password you chose when setting up the Axe Electrum wallet. The only thing needed to recover a Axe Electrum wallet on another computer is its seed. 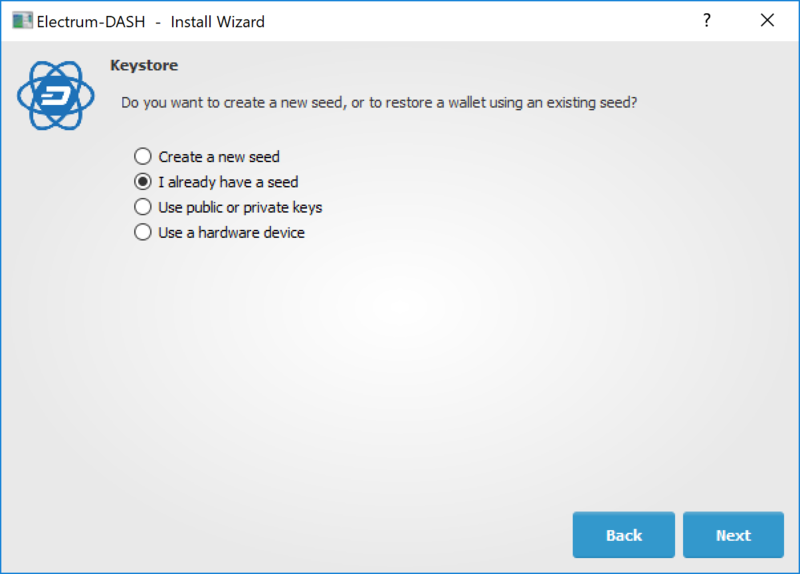 You can test wallet recovery with your current installation of Axe Electrum by selecting the File > New/Restore menu item. A dialog will appear asking you to name your new wallet. 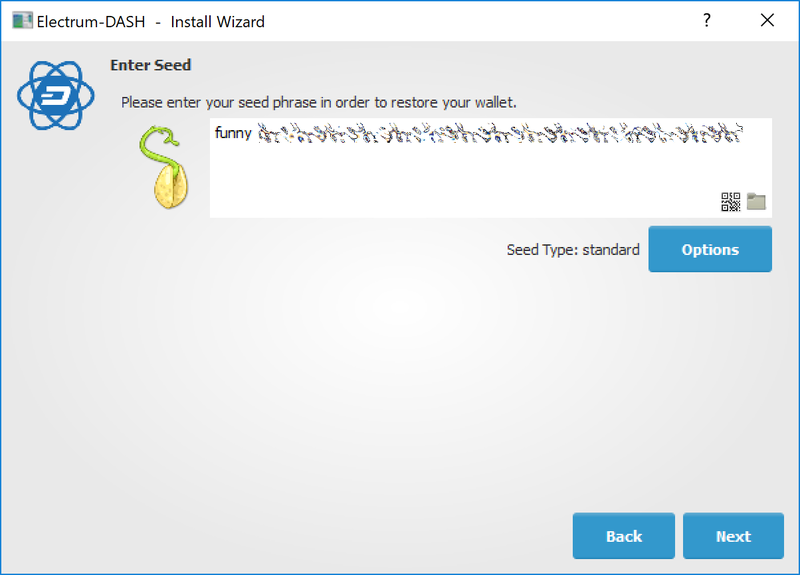 Enter a name, select Standard wallet as the wallet type and then choose I already have a seed. 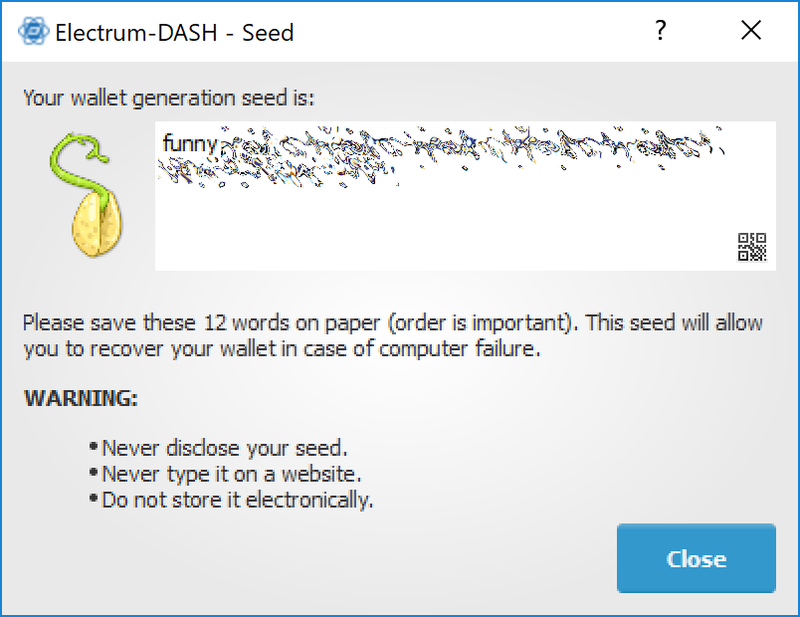 If your seed was entered correctly, Axe Electrum gives you the option to add a password for your wallet. After restoring your wallet, Axe Electrum will list any existing transactions from this wallet. This process may take a few minutes, and the transactions may appear as Not Verified. This problem disappears after restarting the program. Linux: Open Files, select Go > Go to folder, copy the path ~/.electrum-axe and paste it into the dialog box. macOS: Open Finder, select Go > Go to Folder, copy the path ~/.electrum-axe and paste it into the dialog box. 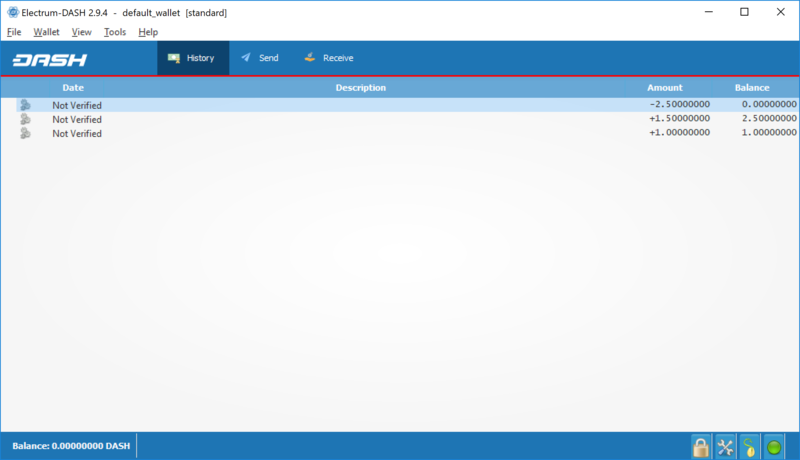 Windows: Open Explorer, copy the path %APPDATA%\Electrum-AXE and paste it in to the address bar.